Swashikshan, the Indian Association of Homeschoolers has announced a five day homeschooling conference from the 21st of February 2014 to the 25th at Khandala. The Indian Homeschoolers Conference 2014 is a great opportunity for Indian homeschooling families to connect and network. It is also a good opportunity for new homeschoolers and those planning to homeschool children in India to interact with the community and observe how homeschooling works for different people as well as get their questions answered by more experienced homeschoolers. There are also discussions planned for formulating a plan of action with regard to the RTE and getting recognition for homeschooling children, which is important for children who may wish to pursue scholarships, competitions, competitive examinations and more. It is also important in terms of a safeguard from any potential action that the government may take against parents who don’t send their children to school. The structure of the event is expected to be free flowing and spontaneous, though there are these few things on the agenda which will be addressed at some point. This is an event not to be missed for free learning families. An additional bonus is the enriching experience of an inclusive gathering for mavericks who make choices off the beaten track for their values – perhaps the common thread running through parents who choose to protect their children from school at great personal cost and effort. Read the Indian Homeschoolers Conference 2014 announcement and payment information at the Swashikshan website. This entry was posted in Home Schooling News and tagged Education, Homeschool, India, Indian Homeschoolers Conference, Khandala on January 8, 2014 by vidyut. Will Somnath Bharti and AAP bring new hope to Delhi’s homeschoolers? The Indian Homeschooling community seems to be pinning their hopes on the Aam Aadmi Party, that they may lend their voice to the aid of aam aadmi parents and children who are scattered across the country with no large numbers enough to be a vote bank, nor the ability (or inclination) to gather in large mobs for their rights. The one thing homeschoolers have in common with the LGBT community in India is the illegitimacy of a very personal, enriching lifestyle. A lifestyle that harms none. A lifestyle that cherishes those living it. In the farcical Right To Education Act, with its sanctimonious imposition of school on all children, the Nation has done homeschoolers a grave injustice. Parents who have made conscious choices and sacrifices to throw open the horizon for their children instead of an education system that barely scratches the potential of learning are now on the wrong side of law. The “Free and Compulsory” education paradox may seem like a minor thing to parents who send their children to school, but for homeschooling parents, it has resulted in deep soul searching and a determined decision that they will court being on the wrong side of the law in order to nurture their child’s learning. In a democracy, this ought not to be happening. Yet, it is. The “Free” is a lie, because children who really are FREE to choose their learnings are not recognized as learning unless they land up at the same place, sitting in one place, enclosed by walls and obeying rules written by someone else daily in some of the most vibrant years of their life. There isn’t one community on the face of the earth that could be forced in such a manner without activist outrage, and yet our children, those we claim are fragile and must be nurtured must suffer this for years on end, or they are in violation of the nation’s law. Surely this travesty of personal liberty cannot be allowed just because the subjects are too young to vote or raise serious objection? The realization that Somnath Bharti has helped homeschoolers find voice through the case of Sandeep Srivastava in the Delhi High Court and he is now on Delhi’s cabinet has led many homeschoolers to hope that if the capital can pave the way for recognition of homeschooling and appropriate provisions in the Right To Education Act, it may result in homeschooling eventually being recognized nationwide. Somnath Bharti as a lawyer presented the interests of homeschoolers where they mattered. Will Somnath Bharti MLA convince the Aam Aadmi Party to take this revolutionary step? Will it happen? We don’t know. We don’t have the numbers to be an electoral threat. But surely some things must be done because they are right and because we have a duty toward nurturing the best possible choices for our young ones? This entry was posted in Home Schooling News and tagged Aam Aadmi Party, Delhi, Homeschooling, India on January 8, 2014 by vidyut. 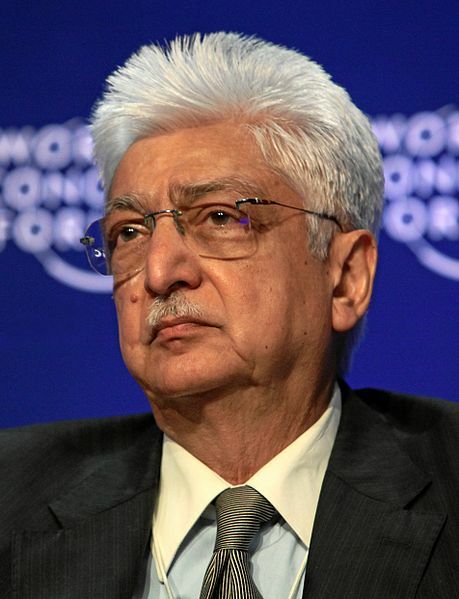 Speaking at the first convocation of Azim Premji University in Bangalore, Wipro chairman Azim Premji said governments and other stakeholders should invest more resources to improve education in the country. “Given the diversity of our country , compounded by issues of socio-economic deprivation and ground realities , it is inevitably going to be a slow and arduous process ,” he said . “They also need to reform governance of all related systems . Equally , I have no doubt that other stakeholders need to do more . This means that more people and more civil society organizations must engage in improving the government schooling system ,” he added . In my view, it is more serious than that and people like Azim Premji have the influence and ability to push for far more. Education has become like an Olympic Sport. It is an exhibition of skill in performing in a very specific manner without any particular expectation of utility. Mere “improving education” is not going to work. What will be needed is a complete demolition and rebuilding of education based on actual needs people have. It is no secret that even as job opportunities diminish, the problem of recruiting competent professionals remains. Any person who has interviewed job applicants will be able to attest to the fact that the number of unsuitable candidates makes selection remarkably like searching for a needle in a haystack. Even candidates overqualified on paper are rarely competent enough to handle jobs with any complexity. Many jobs requiring no specific knowledge insist on graduation as a qualification. The basic reason being the hope that graduation would have provided more proficiency to basic language and logic skills. It is alarming that no one bothers to ask why spending 10 years in basic schooling does not enable students to be fluent in English or record their expenses competently, when uneducated vegetable vendors can manage their own accounts and kids pick up language easily. Worse, because you have graduates competing on jobs which do not require any specialized knowledge, the people who have done basic schooling and can do those jobs are left at a disadvantage by their jobs going to someone capable of far more being under utilized and rendering them outclassed. At the end of the day, basic schooling that we are so adamant about as some kind of holy grail, does nothing to help people live more functional lives. It does not prepare people for jobs. It does not give them knowledge that they can use in the world. But we are putting a country of our size relentlessly through that machine to the point of insanity and even disallowing better alternatives. There is fundamental uselessness in a system that doesn’t address the need for functionality. I do not see how sticking with this method of boards and boring syllabuses taught by incompetent teachers to disinterested students will be useful even if you tweak it prettier. Basic literacy and practical mathematics skills for all – regardless of source of acquiring these skills. Basic schooling – and I’m talking 4-5 years (starting at a later age – say around 8-13 years old) here, not 13 years as the useless monolith currently stands – should provide children with stable language, logic, communication, civics (laws, rights, structure of country, who to approach for what, etc), knowledge seeking and functional mathematics skills. This would have your poor kids who legally start working at 14 at least having greater potential! Nature of syllabus has to change. At the speed at which human knowledge is growing, subjects couldn’t possibly be defined or added to “teach” comprehensively, leading to an inflated sense of intellectual ability on achieving inferior quality memorization of introductory information – particularly among “top scorers”. It would be useful to teach children how to find (and test for soundness) information on whatever it is they need information on. There is no need for square roots and complex divisions of 10 digit figures by 4 digit figures. Teach them to use a calculator! The world has changed since the time these were handicaps if you didn’t know how to do it yourself. Basic schooling should be designed to enable people completing it capable of any job not requiring specialized knowledge. No reason why a bus driver or receptionist needs to know more than this to do his/her job well. Dignity of labour: Education must expand to appreciate the knowledge that goes into competence of all kinds rather than marks depending on some answers deemed “right”. If we need excellent soldiers, train drivers or garbage collectors, children must learn to recognize that there is ability in combat or strategy, driving a mammoth vehicle or sanitation. High school diploma or degree too must focus on skill over information, though of course specialized information will be inevitable. Why do we not have enough architects and doctors? Is there a way to simplify syllabus and rapidly churn out more with only essential skills to handle the bulk of the load? Education needs to adapt to answer needs rather than create templates that will have to fit in somehow. Underutilized at times, lacking competence at others. We need to put the horse ahead of the cart. In my view, if we are looking to build an India that is functionally strong, we must have kids who see their need to care for people and animals and dream of becoming forest guards or nursing staff committed to giving their patients every edge to thrive. We need kids who look at their pile of dismantled toys and think it would be cool to grow up to be a mechanic and do it with real cars. Or a child interested in food and wanting to become a chef should proudly put up a vada paav or lemonade stall in the neighbourhood without imagining that the excellence of a cook is in an air conditioned kitchen in a five star hotel. The excellence is in the passion! Children are great “doers” and “makers” till we teach them that “respect” is in white collar jobs in multi-national companies after you do an MBA (another useless invented degree that abstracts presentation and management as a universal plugin – assembly line competence). Yet there are entire empires to be built doing so many things we do not teach kids to explore. More importantly, there are dreams to chase and happiness to secure, which require knowing and chasing what the heart wants – education must not take up too much time and leave no time for this. Note: I am a homeschooler, but this is pretty much what I’m trying to achieve for my child too! Note 2: I do hope someone gets Azim Premji to read this. This entry was posted in Home Schooling News and tagged Azim Premji, Education, India, schooling, Skill on October 6, 2013 by vidyut. Yesterday (7th August) was the death anniversary of Rabindranath Tagore, and I found two pieces remembering him. I thought it would be a good start to my plan of sharing profiles of people who learned without school, as a response to a common anxiety parents share – what will my child become when he/she grows up? Rabindranath Tagore, sobriquet Gurudev, was a Bengali poet, philosopher, artist, playwright, composer and novelist. India’s first Nobel laureate, Tagore won the 1913 Nobel Prize for Literature. He composed the text of both India’s and Bangladesh’s respective national anthems. Tagore travelled widely and was friends with many notable 20th century figures such as William Butler Yeats, H.G. Wells, Ezra Pound, and Albert Einstein. His body of literature is deeply sympathetic for the poor and upholds universal humanistic values. His poetry drew from traditional Vaisnava folk lyrics and was often deeply mystical. Tagore, of course was learned at home and was a learned man. A polymath, which means he was exceptionally talented in many things. The Hindu carries a labour of love remembering him by Ashokamitran. I found it special because it speaks of the impact of Tagore on Tamils, which is hardly something we hear in the normal course of reading. An excerpt, follow the link to read the article. This took me farther back to the 1940s when I was a school student. Our English text-book was a selection of prose and poetry pieces, mostly of British origin but there were a few like ‘The Hero’ of Rabindranath Tagore and ‘Transcience’ by Sarojini Naidu. ‘The Hero’ was my first conscious experience of Tagore. I had seen the bearded face of Tagore a couple of years ago in a Tamil book called Kumudhini. Almost on the same day I saw another photograph of the face in the Tamil weekly. It was in August 1941. Tagore passed away on August 7, 1941. Three years later was the year of ‘The Hero’. It took me a few more years to be able to penetrate into the world of Rabindranath Tagore. His plays were a little puzzling but there was no barrier between us and his prose pieces. Gora gave us a glimpse of the spiritual movements taking place in Bengal in the second half of the 19th century. When I became a resident of Madras (which is now Chennai), in 1952, I found quite a number of people familiar with Tagore’s writings. Not only Tagore but Bankimchandra Chatterjee, Sarat Chandra Chatterjee, Tarashankar Banerjee and an odd writer by name Rakhaldas Bandhopadhyay. Many of Tagore’s works were then available freely in Tamil Nadu as translations. For the few avid readers of serious writing, translations from Bengali authors were among their first choices. 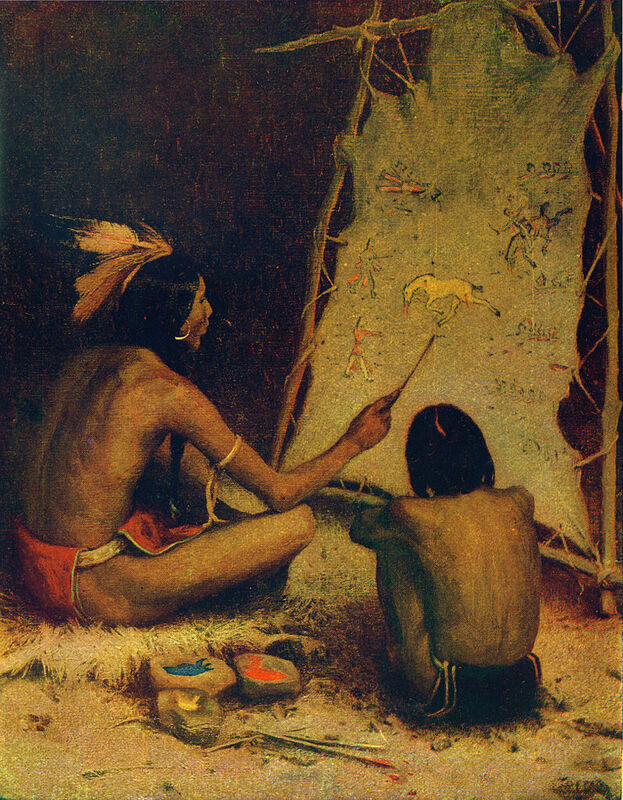 Later I learnt that two brothers, T.N. Kumaraswamy and T.N. Senapathi, lived in Bengal and learnt the language to be able to read Tagore’s work in the original and then translate them into Tamil. This entry was posted in Home Schooling News, Homeschooled people and tagged home, India, schooling on August 8, 2013 by vidyut. Friend sent me this link about how schools are about to get costlier, commenting that it would mean more homeschoolers and that I should be happy. When education was categorised under the negative list in the 2012 Budget, a finance ministry notification issued on June 20, 2012, read: “Services provided to or by an educational institution in respect of education exempted from service tax, by way of (a) auxiliary educational services or (b) renting of immoveable property” are exempted from service tax. However, another notification issued on Budget Day replaces “services provided to or by” with “services provided to”. While some academics who believe that the change in wording is an error have been trying to get it clarified by the finance ministry, the excise department has gone ahead and asked schools to pay up. “The intent to levy service tax on services rendered by educational institutions to outsiders is right. But, the finance ministry notification seems to indicate the contrary. I appeal to the FM to exempt auxiliary services and renting of hostels provided by educational institutions to its own students from service tax,” said S Vaidhyasubramaniam, dean of planning and development, Sastra University. This development is rather alarming because good schools are already rare and prohibitively expensive for a majority of the population. I am not happy, actually. The idea that people might move to homeschooling because they cannot afford school strikes to me as a failed education policy and the worst possible reason to switch, though it is true homeschooling can be cheaper (or far more expensive) than school. Homeschooling, in such a case would not be the first choice, but a compromise made out of necessity. This may not be a suitable situation for the considerable commitment to pursuit of learning that homeschooling demands. Not to mention that the legal position of homeschooling itself is very tricky in India. While no one is persecuting homeschoolers, the few efforts that were made for recognition failed completely with no consession whatsoever so far. Informally, the word is that parents dissatisfied with the system may choose to homeschool, but it can be too precarious to risk for people unfamiliar with the concept. In short, education in India is slowly becoming a complicated and increasingly meaningless thing, with no real alternatives. Note: There are plenty of homeschoolers in India who have decided that we will not be sending our children to school. Technically, we are on the wrong side of the law, but many of us are determined enough to risk consequences if need be, but not inflict the schooling system on our beloved children. This entry was posted in Home Schooling News and tagged Education, Homeschool, India, School, schooling, Taxation in India on August 8, 2013 by vidyut. U.S. Justice Department court filing rejected a German home schooling family’s application for asylum in the US is in trouble after initially being accepted. The Romeikes, a home schooling family with five home schooled children are being represented by the Home School Legal Defense Association, while the Obama administration want them to be sent back to Germany. Germany has a national law requiring children to either attend public school or a government-approved private school. While this is not India, it is worrisome snapshot of the world, because it is an example of how the interest of children and home schooling families is fragile if the country’s law makes it tougher for them. Immigration appeals or asylum laws both seem indifferent to alternative education programmes, leaving home schooling families and other special education initiatives entirely at the mercy of the national education machine. Without the support of organizations like Home School Legal Defense Association, it can be overwhelming for individual families to ensure their rights. With the RTE Act, India is well on the road of the absurd “free and compulsory” – whatever that means. Home schooling families in India are already wary of the directive for every child to be in school and seeking alternatives, while special education organizations working among marginalized communities are scrambling to save themselves when their highly educated post-graduate volunteers are not enough to rescue their organization from a short sighted Act that requires qualified teachers who are not available in the numbers dictated by the act. I doubt if that definition of “free and compulsory” is going to include the freedom to learn that home schooling nurtures or indeed any freedom of education other than the lack of educational fees. While at the moment, the government is hardly applying it, home schoolers are already vulnerable to malicious accusations of abuse or deprivation of education that could get them into trouble with the law. Because a carelessly crafted law does not recognize home schooling families or special education or alternative education programmes as any different from depriving children of opportunities to learn. There are initiatives like “Swashikshan” (self-learning/teaching) which, while not Home School Legal Defense Association, have seen home schooling families connected and organizing to share resources. I hope we are able to suggest some framework for home schooling eventually, ideally with as much credibility as the Home School Legal Defense Association, or at least a recognized body, before the law strangles diversity of learning here as well. It is unbelievable to imagine that a country like Germany (which gave enough and uprecedented votes to a Pirate Party – that extraordinary political endorsement of freeing knowledge, and going beyond regimented structures to find what works) persecutes home schooling families to the point where a family must worry about losing its children is very worrying for a country like India, where enforcement of laws is arbitrary and human rights are not an issue. Update: Must read – Ann Althouse writes an excellent post asking why the German family is seeking asylum in the United States, when they have free movement in the European region and could easily go to another European country. This entry was posted in Uncategorized and tagged Germany, Home School Legal Defense Association, Homeschool, India, Obama administration, United States, United States Department of Justice on July 24, 2013 by vidyut.